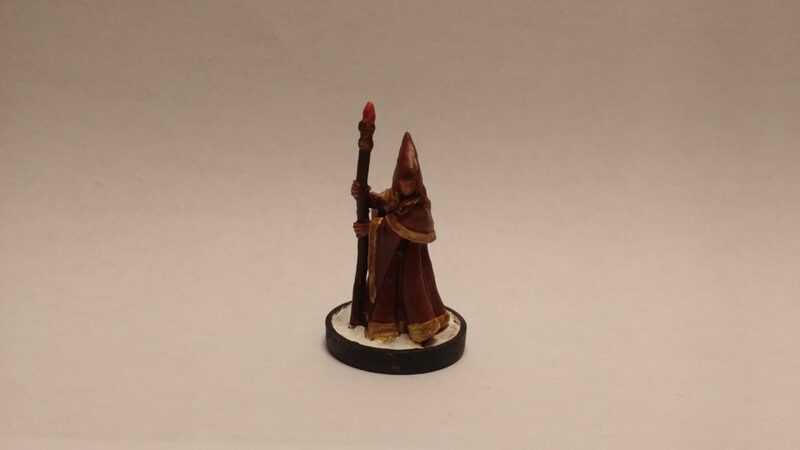 Anirion the Wood Elf Wizard is another miniature from Reaper Bones. I painted it to use as an NPC in the next Celestial Winter session but it will definitely see use beyond that. The polyurethane has been darker than usual lately, I think that it’s starting to dry out but it’s still coming out nicely. I finished up with a spray on matte finish. You have improved a LOT. Will have to steal that idea! Thank you. The advice you and Dagger & Brush gave me when I first started really helped me find my footing. I like where you’re going with the blue base coat on yours – I had a specific character in mind with my color scheme but I was tempted to go with other colors. 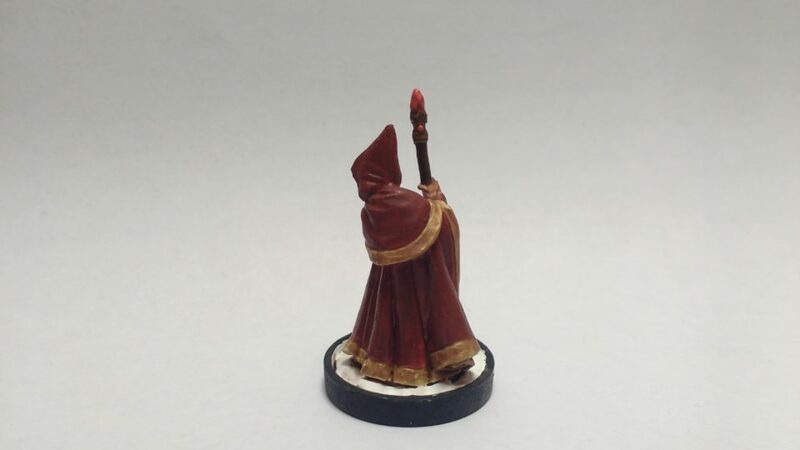 It was fun to imagine all the different characters this mini could represent as I was painting it. Soon after I finished this, I spotted a pro-painter sharing their take on Twitter. Similar color scheme to mine but he put a pattern on the trim. I thought was a nice touch.